The UK could see its gas reserves more than quadruple. The conclusion is based on estimates from the UK's IGas Energy Group that said its own license in north west England could contain over 4.8 trillion cubic meters of shale gas. The company said its technical studies indicate that the licenses in the region most likely contain an estimated 2.9 trillion cubic meters or 102 trillion cubic feet. According to Bloomberg, the new estimates released Monday sent IGas Energy shares soaring. They jumped 15 percent in London trading after the statement was released. IGas, which is due to start drilling later this year, said in a statement that a study "supports our view that these licenses have a very significant shale gas resource with the potential to transform the company and materially benefit the communities in which we operate." Should 30 percent be extractable, UK reserves would jump about 850 billion cubic metres compared with BP’s current estimate of 200 billion cubic metres, more than quadrupling the country's gas reserves. The new estimate from IGas Energy follows the one made by its rival – Cuadrilla. Cuadrilla’s estimate revealed that its field in the same region in north west England may hold up to 5.7 trillion cubic metres. Increasing extraction of shale gas could help UK ease its gas dependency on Qatar and Russia. Exploration and development group Cuadrilla believes it could supply a quarter of the UK's gas needs from a resource in Lancashire. "There are already over 300 licenses for onshore exploration and development, conventional and unconventional, a fifth of which are substantial," UK Energy Minister Michael Fallon said last month at the All Party Parliamentary Group for Unconventional Gas & Oil (APPG) meeting in the House of Commons. 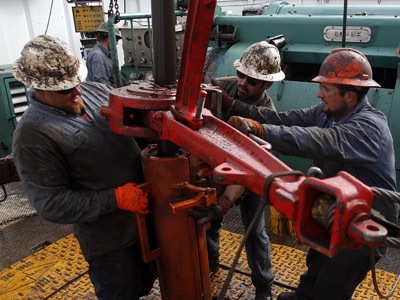 Shale gas drilling is however a tricky process. 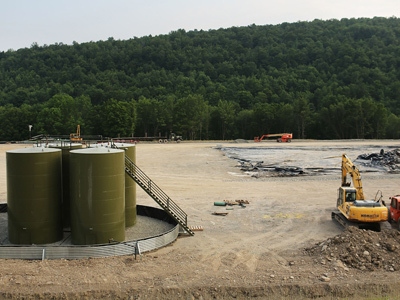 Companies use hydraulic fracturing – the cracking of various rock layers by a pressurized liquid in order to release the gas trapped inside the shale formations. Supporters of the hydraulic fracturing point to the economic benefits from the vast amounts of formerly inaccessible gas reserves. 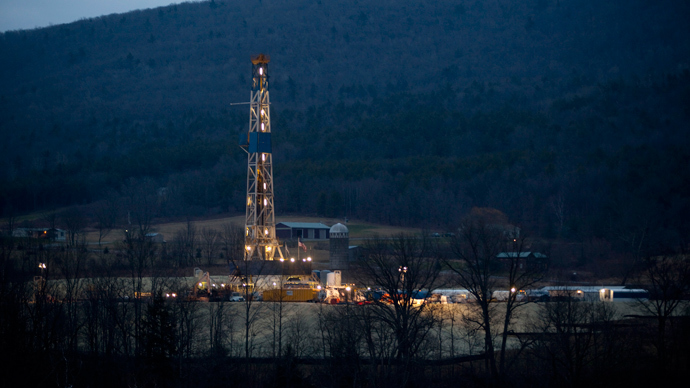 Opponents of the drilling methods point to potential dangers to the environment, including polluting ground water, depletion of fresh water, and soil and air contamination among other risks. 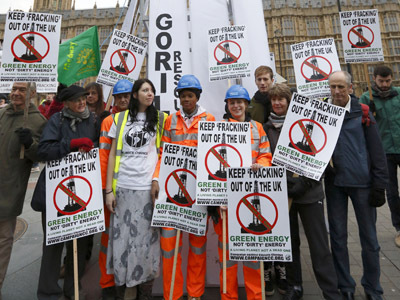 The UK ended its shale gas exploration moratorium in December last year despite environmentalists’ concerns over the controversial extraction technology, the International Business Times reports. 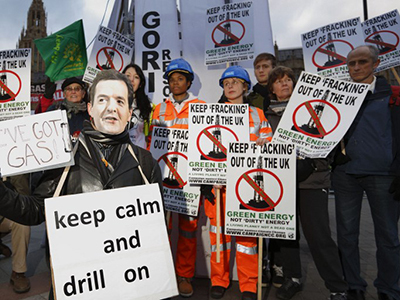 Conservative MP Dan Byles quoted by IBTimes said that the shale gas industry could provide as many as 30,000 UK jobs.